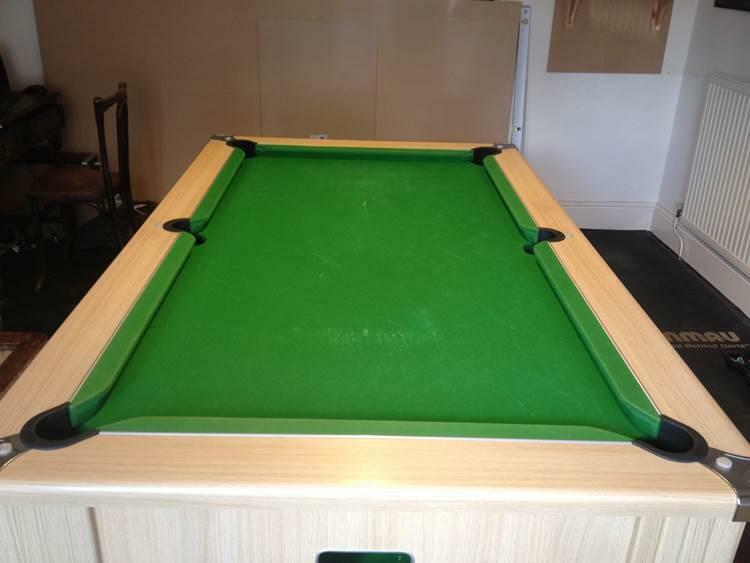 This was a Full Pool Table Recoverthat was done for a customer in Mold. He wanted a shiny new cloth so we fitted the HainsworthClub-Greencloth, which he was thoroughly pleased with. 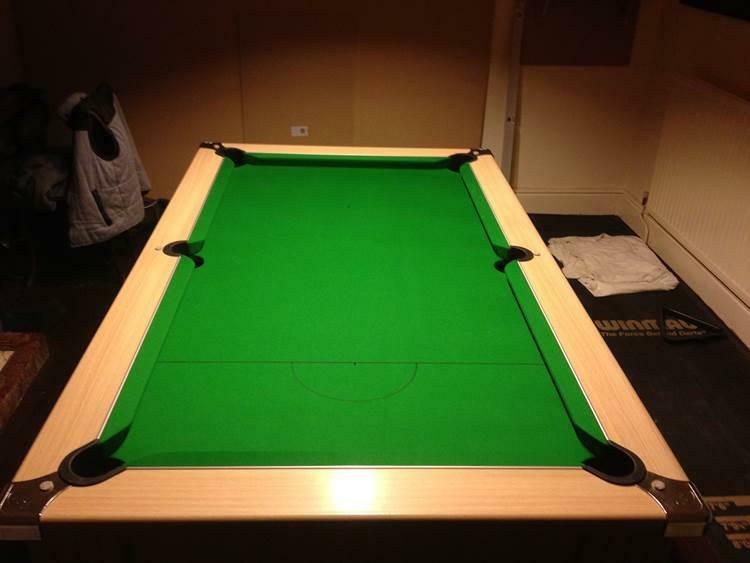 He also bought the table from us 7 years earlier, so therefore we gave him Discount, as he is a loyal customer of ours.